To say there are a lot of marketing courses online today is a massive understatement. I find that frustrating because I don’t want to waste my time with crappy marketing courses that may teach me outdated tactics, useless theoretical information and/or strategies I already know. Because I figure I’m not the only one facing this dilemma, I decided to evaluate the free marketing course landscape for 2018 and share it with you here — to save us both time and headaches. Keeping that in mind, here are the best free marketing courses of 2018 in no particular order. IMPORTANT! Want to know how to skyrocket your blog past the 100,000 monthly visitor mark? Check out Tim Soulo’s Blogging for Business course. It’s not free, but it is well worth the money! 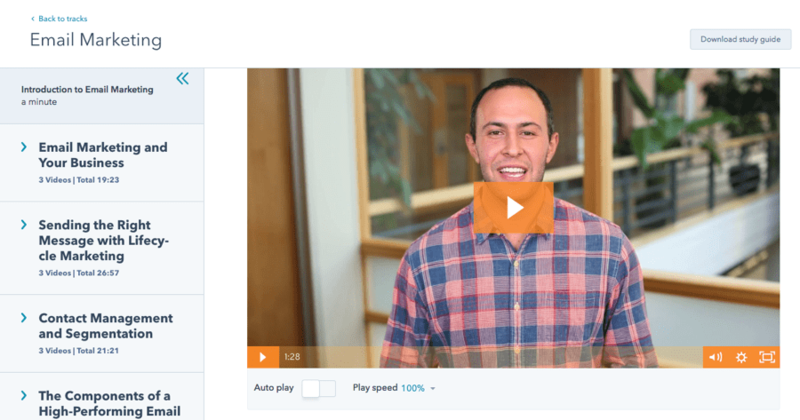 This HubSpot Academy course features nine different “professors,” ranging from well‐known HubSpot employees, like Lindsay Thibeault and Justin Champion, to popular marketing influencers, like Sujan Patel. The certification is comprised of 12 video lessons that run just under 4.5 hours and also include one quiz per lesson (12 total). 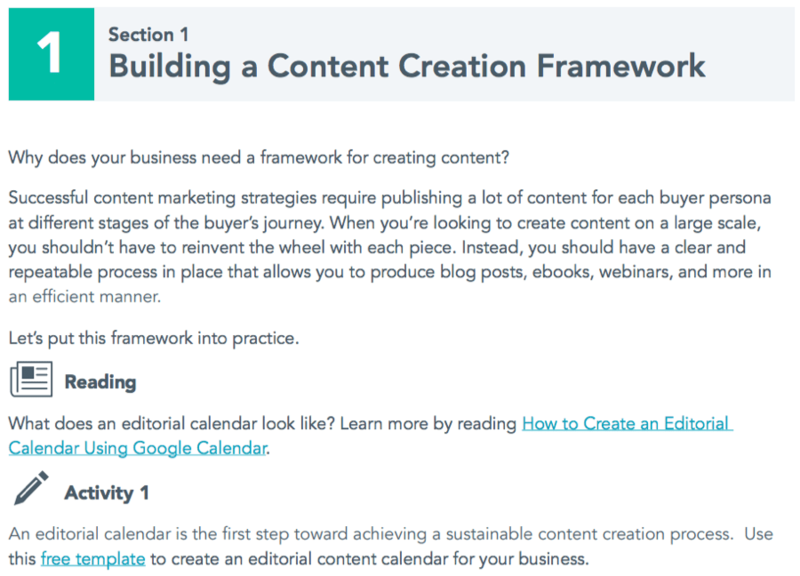 Upon completing it, you’ll have a solid content marketing foundation to build on. More specifically, you’ll learn: how to tell stories, create, promote and repurpose content. Again, you’ll get actionable workbooks to help you complete exercises as you move through the course. A whopping 137,000+ marketers have passed this certification, which requires takers to pass a 45‐question exam at the end of it. 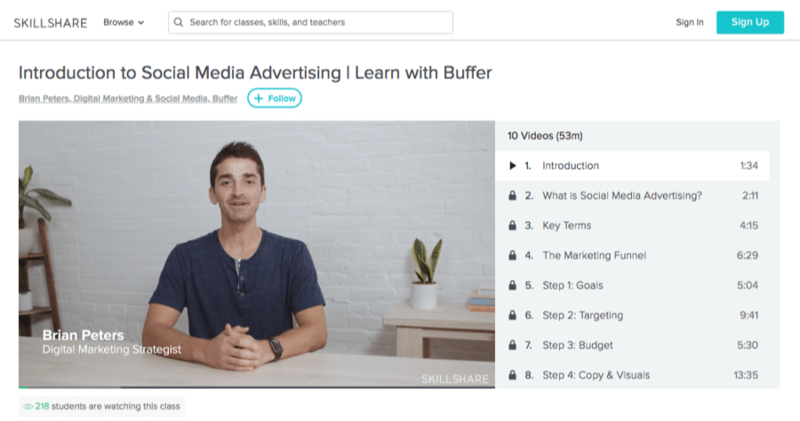 Buffer Digital Media and Social Media Manager, Brian Peters, teaches you all about social media advertising in this free Skillshare course. The course touts nearly 3,700 students with almost 200 positive reviews. Every lesson includes solid examples to back up the advice it gives. And we’re constantly adding new videos too. If you think this marketing course is nothing but a promotion of Ahrefs toolset, you couldn’t be be more wrong. It does not teach you how to use Ahrefs, but it teaches you the basics and the best practices of quality online marketing using Ahrefs tools. 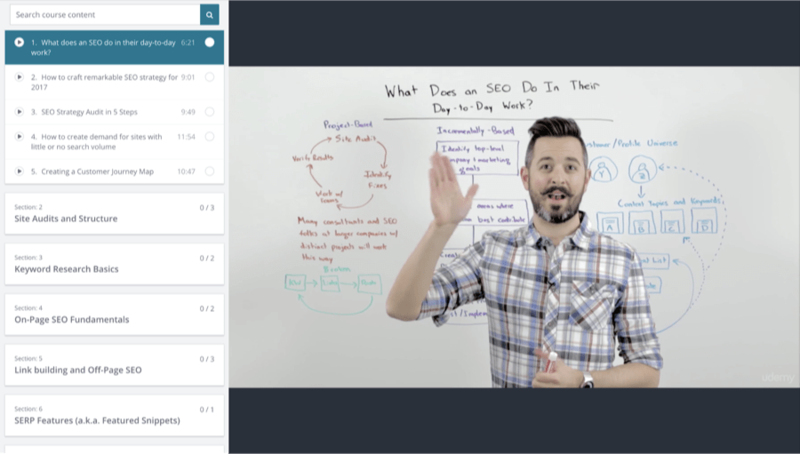 Moz Founder Rand Fishkin teaches this free SEO course on Udemy, which has a rating of 4.3 and was most recently updated last year. It’s basically a compilation of Whiteboard Friday videos that Fishkin is so well‐known for. The 3.5-hour video course touts nearly 150,000 students and offers a certificate upon completion. According to reviews, the course is more theoretical than actionable, so you may want to start with this course before taking the HubSpot one (see above), if you’re a total newbie to SEO. This seems accurate, as I don’t see any worksheets or exercises accompanying the videos, although Fishkin’s Whiteboard Friday videos are typically helpful. Pinterest is a hidden gem in the marketing world, as most marketers ignore it. Could it work for your business? 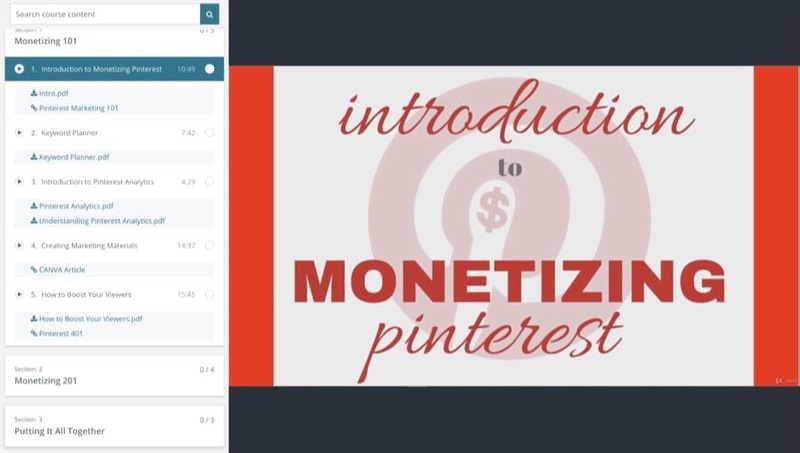 Find out in this free Pinterest marketing course on Udemy by Nick Carroll. The course, which will teach you how to get more visitors from Pinterest, has a 4.2 average rating and has more than 1,400 students enrolled in its lifetime. It was last updated in April 2018. Creator(s): Miranda Paquet and the Constant Contact team. 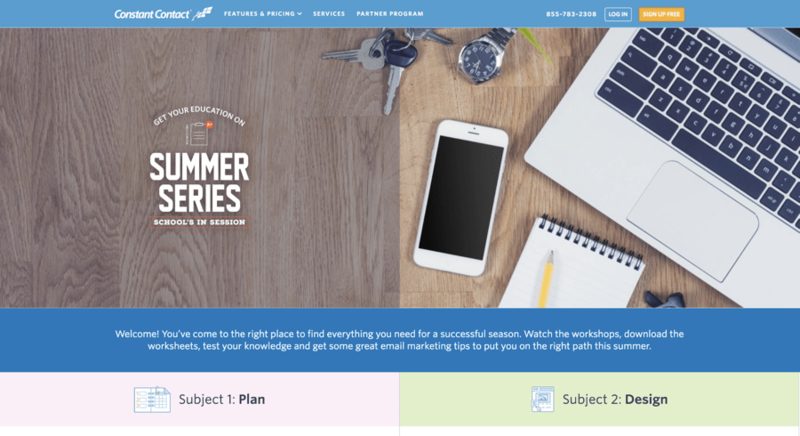 Constant Contact created a free email marketing summer series for marketers. It features five sections and one “extra credit” section on a wide range of email marketing topics, ranging from creating a plan to designing your emails and growing your list. Not only does each lesson feature a video lesson but also actionable worksheets, quizzes and additional resources to help you excel faster. Twitter Flight School requires you to log in with your Twitter account before getting started. In total, the tracks should take well under two hours to complete and feature multiple videos per lesson. If you don’t know where to start with Google’s ad products, its Academy for Ads may be for you. It helps you figure out where to get started in mini, bite‐sized lessons. The nice thing about Google Academy for Ads is you can learn on any device, at your own pace. Aside from videos, you can complete interactive challenges to really get your hands dirty and take short quizzes to see how you’re doing. This is the most up‐to‐date, in‐depth, actionable, free course I could find on the topic of SEO in 2018. As many of you know, search engines have changed their algorithms to favor topic‐based content, and SEOs have had to adapt to a “topic cluster” model to rank in SERPs. 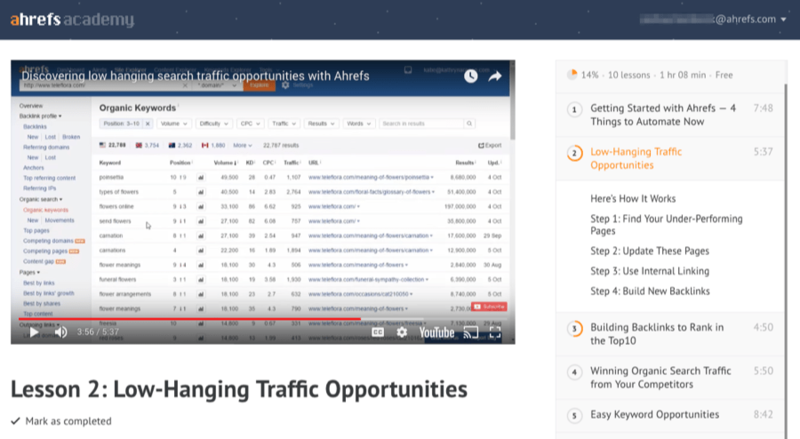 HubSpot’s Director of Acquisition Matthew Howells‐Barby teaches this HubSpot Academy course, which features 15 videos that run about an hour in total. It also comes jammed packed with actionable exercises and workbooks to help you complete them. Of course, there are quizzes as well… if you’re into that sort‐of thing. For those of you that are unfamiliar, Later is an app that lets you schedule your Instagram posts, which makes them ideal for teaching us all about Instagram. While they offer a few different Instagram courses, I found its Instagram Stories course to be the most interesting. The course playlist features real practitioners, who have grown their accounts using Instagram Stories. 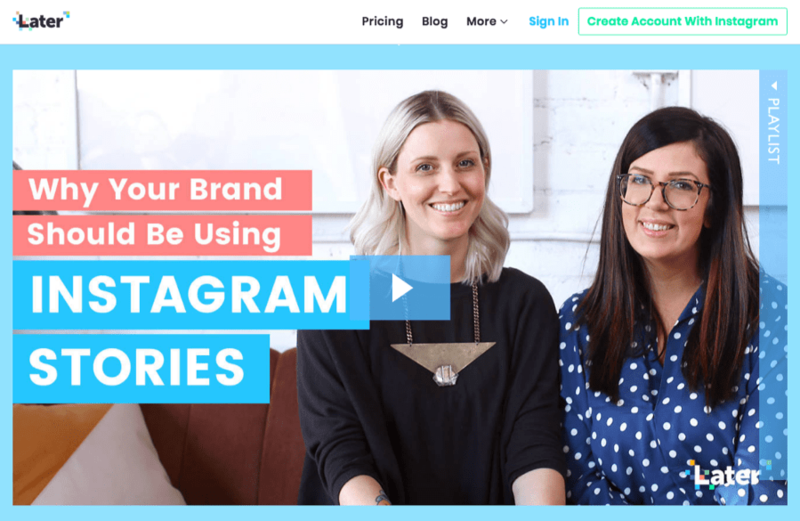 You’ll learn the basics (why you should be using Instagram stories) to how to develop and execute an Instagram Stories’ strategy. Mailchimp’s Director of VIP Services Ariana Hargrave teaches this email marketing for ecommerce course, which has nearly 6,000 students and 231 positive reviews. In this course, you’ll learn how to automate, optimize and personalize your email marketing with Mailchimp without much additional effort on your part. This course is best for those with a base‐level knowledge of email marketing. 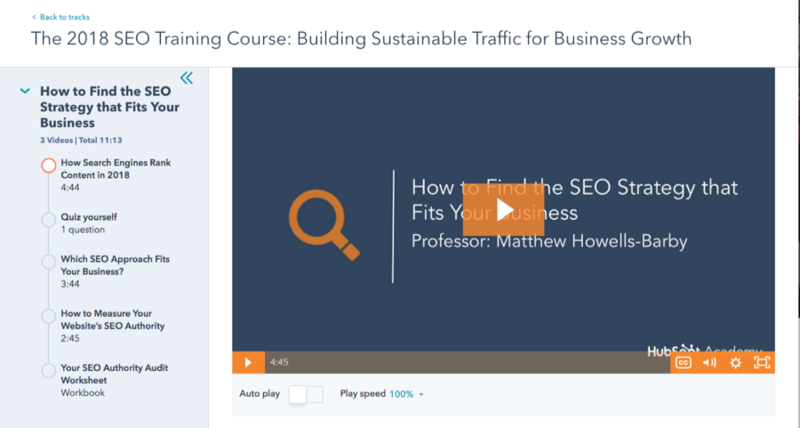 This behemoth of a course by Hootsuite features 97 videos and 27 quizzes accompanied with resource downloads and articles/transcripts. The course begins with an intro to the popular social media networks, such as Facebook, Twitter and YouTube and dives into everything from optimizing your profiles to creating and executing a social media strategy. Students will also learn how to build a community of advocates and social advertising fundamentals. If you want to become a Bing Ads Accredited Professional, this is the place to do it. This is the official training course by Bing itself. 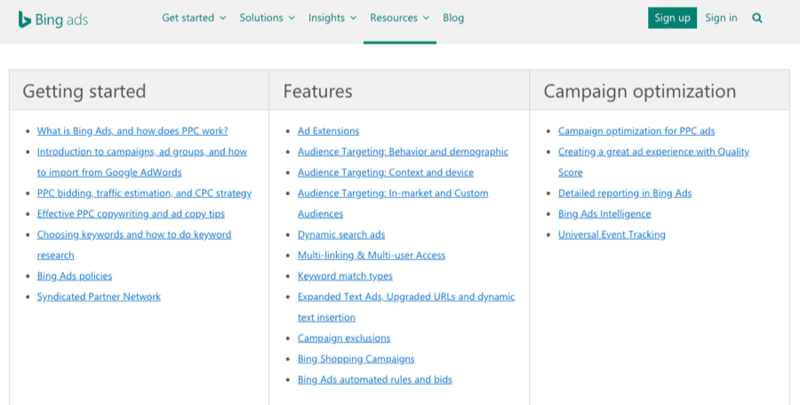 In it, you’ll increase your Bing ads proficiency, reporting knowledge and learn how to optimize your campaigns better. This training features a lot of text, so you’ll be doing a lot more reading than watching. Another benefit of this course is once you successfully complete it, you’ll be added as a certified professional in Bing’s member directory. HubSpot Academy’s Email Marketing Certification course features nine classes covering lifecycle marketing, contact management and segmentation, design and functionality, deliverability, analytics and optimization and testing. 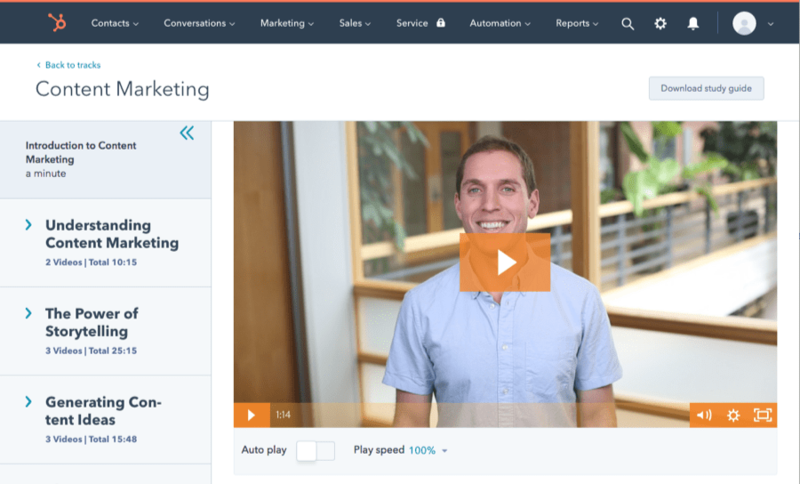 This track is taught by five different HubSpot employees — mostly demand generation marketers. It features 24 videos and includes quizzes and actionable workbooks. The exam at the end will take about two hours to complete. WordStream is known for its free PPC University. The course doesn’t feature videos — in fact, it’s mostly text, but if you can look past that, you’ll learn a ton about PPC. It starts with the basics — what is PPC, what are keywords, etc. — and dives into advanced tactics like remarketing, AdWords mobile and call tracking. 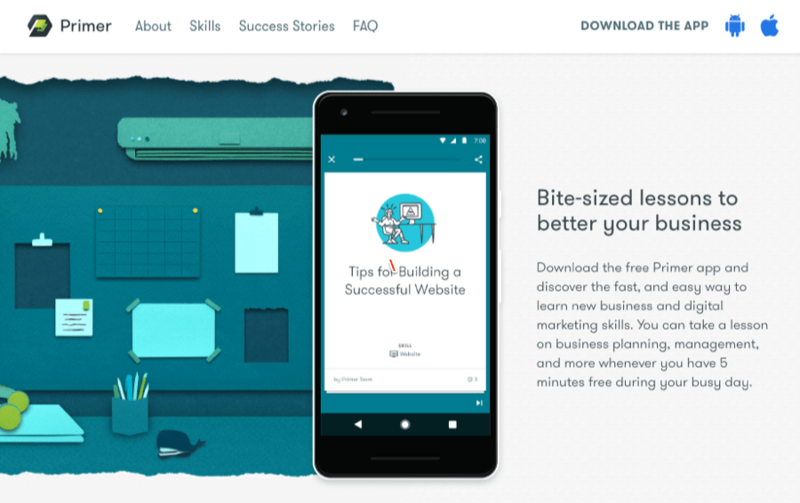 If you’re looking to learn a bunch of different marketing topics, and bounce around, I highly suggest downloading the Google Primer app. It’s a mobile app that you can download and learn about every marketing topic under the sun. The courses are self‐paced and taught by well‐known industry practitioners as well as Google employees. The app is super interactive and ensures you are actually learning something with every interaction. Google Digital Garage is similar to its Primer app, but you access it on a desktop. Each course lesson features a video and a quiz to test your knowledge. We’ve provided you with the best lists of free and paid courses. Now, it’s time to make a move. What skills do you want to improve in the near future? Tell us in the comments below.